Posted on April 1, 2016 at 4:40 pm. (KUTV) Leaders from law enforcement, government, education, and medicine gathered in Murray Thursday morning to present a state plan aimed at reducing underage drinking. The problem — parents who remain silent with their kids about the dangers of kids and teens using alcohol. “Kids don’t want to talk about it. They’re uncomfortable and so we put it off and put it off and put it off and that’s not healthy,” Lt. Governor Spencer Cox said. In 2006, as part of a nationwide effort to curb underage alcohol consumption, Utah launched “Parents Empowered,” which educated Utahns about how to start a dialogue with kids about alcohol. 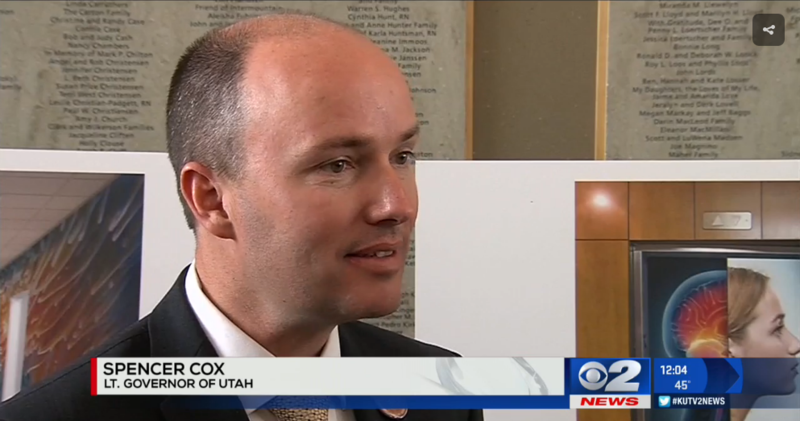 Cox says the state has seen progress, but underage drinking remains a major problem among Utah’s youth. “Our D-U-I numbers are down that is good news, but we still have more to do,” Cox said. Cox says the state and partners in medicine, law enforcement and education plan to do more with a renewed focus on the “Parents Empowered” campaign. On the campaign’s website, the state has posted resources and videos about how to speak to youth about drinking. Leaders cited a recent study found more than 30% of kids who say they have been drunk in the last year, also say their parents don’t think they drink. “If parents get involved, especially at an early age, the statistics show that the ability to prevent children from drinking underage and abusing alcohol just drops precipitously and that’s a good thing,” Cox said.